When you make your own frozen treats, you can control the ingredients that go into it. A quick internet search will deliver lots of options for homemade recipes. Freeze the peaches for four hours. Blend the peaches with the cream in a high-powered blender. Add the stevia if you want more sweetness. You might not need it. This produces a soft dessert that you can eat right away. Stick it in the freezer for another hour if you want a harder treat. 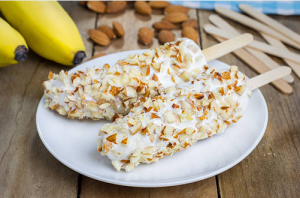 Did you know that frozen bananas can be whipped up into a creamy snack or dessert? Slice bananas and freeze them on a parchment-lined cookie sheet. Transfer them to plastic bags or an airtight container, and store them in the freezer. Whenever you want some frozen goodness, place some bananas in a high-powered blender. Add cocoa or peanut butter for an added punch. Blend them until they become smooth. Ditch the dairy altogether. 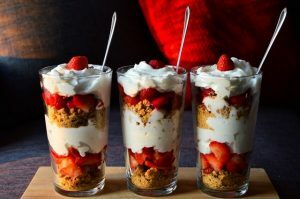 Make a refreshing indulgence without using milk or yogurt. In a blender, combine strawberries and bananas. Mix them until they’re smooth. Add them to your ice cream maker along with some lemonade. After about 30 minutes, you’ll have a combination that tastes like a snow cone. You can also make these into frozen treats using molds. Purchase or make dough for your kids to play with. Provide utensils and options for them to pretend that they have their own sweet shop. Make your own ice cream play clay by mixing one can of pre-made frosting with one cup of cornstarch. This recipe is great for toddlers. It’s edible, and it won’t harm your child if he or she makes the mistake of eating it. However, it won’t taste as good as the real thing. Use paper and scissors to celebrate the month without making your kids crazy or worrying about your weight. Print out images of cones and scoops, and have kids glue them onto paper to make their own creations. You can also make 3-D popsicles and other colorful delicacies. The best part is that these won’t melt in the summer heat. 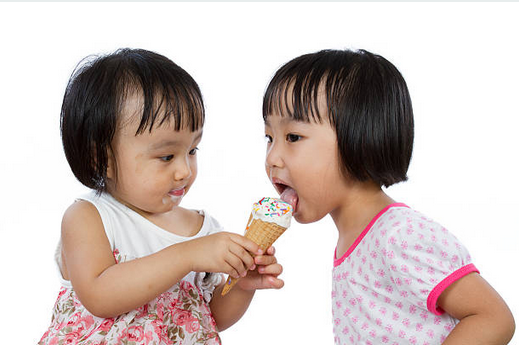 You don’t have to fill up on fat and calories to celebrate National Ice Cream Month. Get creative. Buy something new from the store. Purchase fresh ingredients to whip up healthier options at home. Use your art supplies to make a cool dessert that won’t melt.